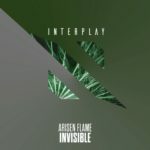 We had the chance to talk with Arisen Flame about his music and much more! Enjoy reading! 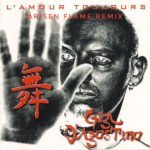 TranceAttack: At first sight it seems you are one of the fresh faces in the trance scene, but if you take a closer look we see an experienced producer with plenty of sucessful releases on the major labels. How did this success story start? Arisen: Hey! Nice to speak to you! That’s right, I’ve got plenty of successful releases on the major labels, especially Armada Music. I became interested in music a long long time ago. I was composing melodies on keyboard until I discovered Fruity Loops Studio. Then I started to make my first tracks on computer and day by day I’ve been trying to improve my skills and knowledge about music. It wasn’t easy at the beginning but I never gave up. It’s hard to say in few words how the success story started. It feels like I could write a book about it but I know it’s just the beginning of a long exciting journey with music. 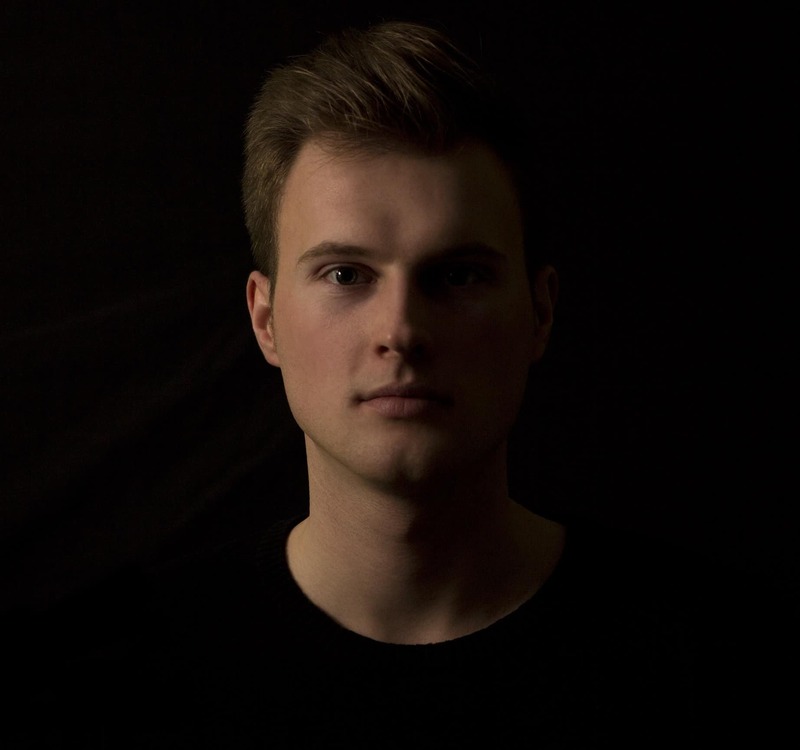 TranceAttack: You were born 1990 in the nice town of Koszalin near the beautiful Baltic Sea in Poland. You still live there? Possibly a perfect neighbourhood to live a normal live. But as international active DJ? 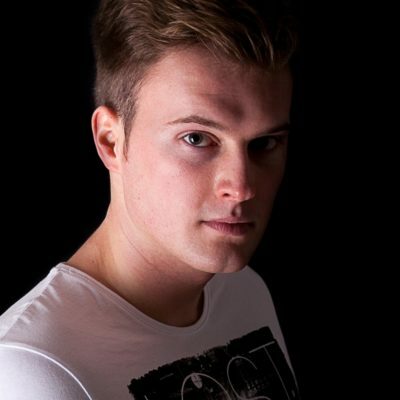 TranceAttack: You already played at some of the biggest parties in the world. What do you like more? Producing or DJing? Arisen: I love both and for me one doesn’t really work without another. The most epic and exciting moment is when you can play your own music in front of hundreds and thousands people. TranceAttack: What about the polish music scene? Is there something special? Arisen: We’ve got many festivals every year with all kinds of music. It depends on the trends and what is popular at the moment. The special thing this year is definitely the upcoming „Armin Only“ show. Everyone is so happy that this Legend is back to perform in our country! 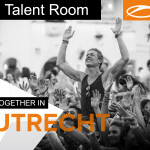 TranceAttack: Where we will have the next oppotunities to listen to your sound live? Any highlights for the rest of 2016? Arisen: For this moment I can’t tell much yet, but if you follow my social medias then step by step I will reveal all the news! 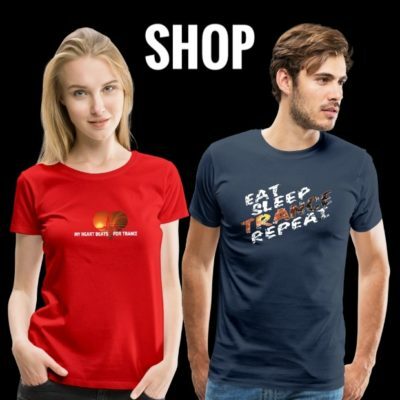 TranceAttack: On which projects do you work at the moment? What can we expect for the future? TranceAttack: You have your own podcast, called “Fireball” as same as one of your biggest hits. For people who doesn’t know yet. What music is played in the show? Own releases or variety of what you like by yourself? Arisen: I started my “Fireball Podcast” some time ago and it doing really well now. It’s all about music with great feelings, beautiful melodies, energy and impact. I’m trying to combine many genres because that’s the way how I feel it and wanna share my vision of sound with people. Just make everyone happy and positive. I received so many great feedbacks from fans that they love to listen to my podcast on the gym, or when running, partying with friends and just chillin at home. TranceAttack: Tell us something about your private life. Is there a “Miss Arisen Flame”? TranceAttack: What about hobbies? You have a dog, correct? Arisen: I will probably shock everyone now because no one really expect that my main hobby is music! 🙂 That’s right I have a cute dog and we go for a walks often. We both like it and enjoy it especially after hours of working on music. (sounds like I’m working on music with him haha) But… who knows?! TranceAttack: Where do you find inspiration for new music? Is there a typical routine in producing a typical Arisen Flame Smasher? Arisen: Hmmmm, inspiration is everywhere in every moment of life. For a long time I was trying to find some answers about my artistic talents and how is it possible that in silence I can hear the music or I wake up in the middle of night with melody in my mind. I questioned many aspects of life, but it only made me confused because as much as I discovered the new, things were coming to make it even more complicated. I can just say that there is some breathtaking moments for me like sunsets (especially on seaside). I love to watch the planet earth from above when I’m flying. Being around nature makes me feeling so good and when I’m coming back home from travels I feel like I wanna share my experience through music. TranceAttack: What are your idols in the scene ? Is there someone you get inspired by or do you go your own way? With which colleagues you would liek to team up for a collab? 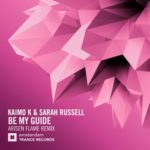 Arisen: Thank you for interview! 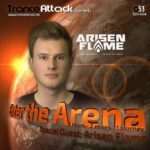 Enter The Arena 053: Arisen Flame and G:CORE!